"The thief comes only to steal and kill and destroy; I have come that you might have LIFE, and have it abundantly." 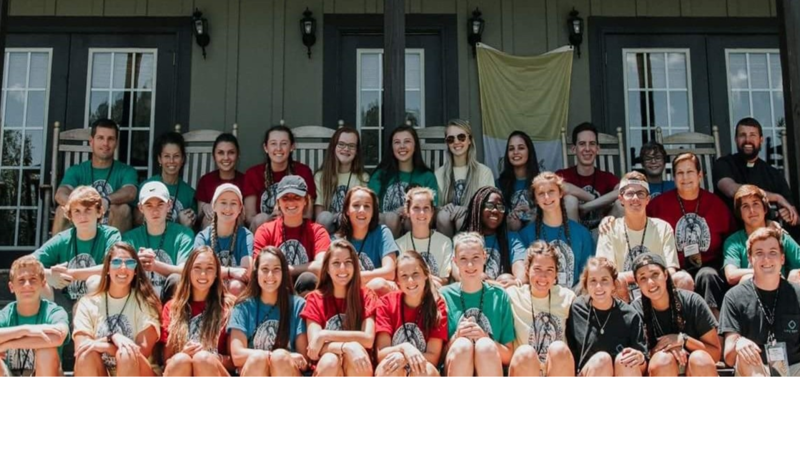 The LIFE TEEN youth program exists for YOU, teens in 9th-12th grades, who are in the struggle to find meaning, learn more about Christ, and especially to stay close to Christ. We meet Sunday night for community worship at 5:30 pm in the cathedral church (aka LIFE TEEN Mass). Then, 6:30-8:30 pm, youth group meets in our cool youth room (corner of Tarpon & Harbor), where we share our faith in Jesus Christ! Yes, there is food, fellowship, and, Yes, it's TONS of fun! Yes, every month we have two weeks of formation, one week of moral issues, and one social night. Yes, we do Bible study, praise & worship, plan service to the community. Yes, there are retreats, camps, youth rallies, missions and service projects, concerts and more! and more! But, mostly, we share our hearts and try to live as faithful disciples of Jesus Christ in His Church, and to support each other in that effort. We strive to grow daily in our relationship with Him, both individually and as a community. Making time to seek Christ and His Will for us NOW, in our busy high school years, we are building a solid foundation, AND we find He gives us life, and gives it in abundance! JOIN US; BRING A FRIEND; EVERYONE IS WELCOME!